ancient ways of wellness and right relations. inspired by - and infused with - timeless indigenous wisdom. together we illuminate our physical, artistic, social and spiritual being. Let us begin by simply being. wisdom nature; then …we can do anything. Wu Wei is an ancient Taoist philosophy which speaks of “only doing from a place of being” or to act only with divine inspiration, as if Life itself was living through you. With Wu Wei, Life guides you. We are passionate about this delicate and subtle alchemy. We believe that when you live from your wisdom nature, you will be guided to fulfill your destiny and your dreams. 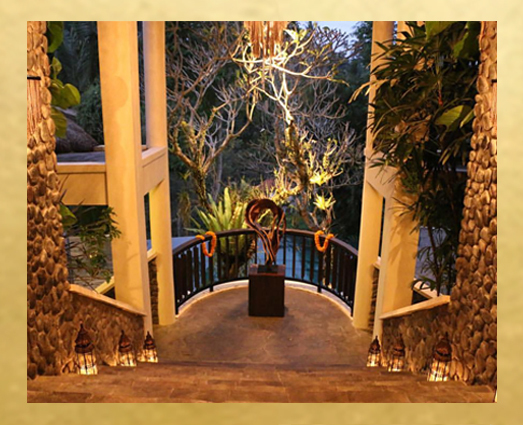 Our home, our headquarters and our 300 year old, tri-dharma temple are in the mystical mountains of Ubud, Bali. It is from this place of deep indigenous wisdom and generational magic that our passion ignites and our spirits are refined. We welcome you here, to awaken your wisdom nature! We immerse in nature, so we may welcome our wisdom nature. We dive into experiences for the soul purpose of presence. We remove our obstacles and ego long enough to hear the voice of Life that speaks through all creation. Humbled, cleansed and receptive to the perfect presence of all existence, we refine our place within it. 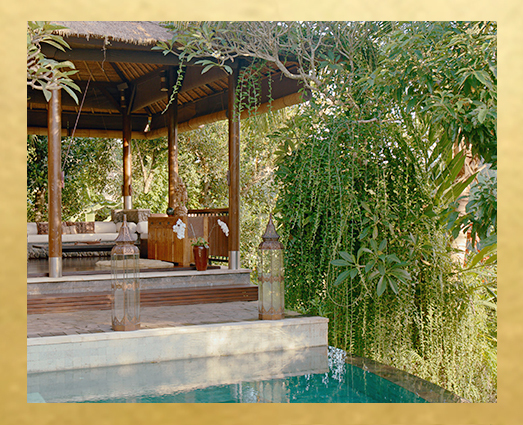 ‘The Hermitage’ is our private enclave which allows for short-mid-long term stays. 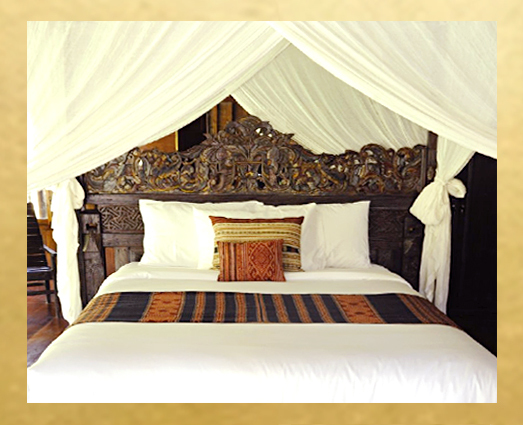 Here you can find the serenity of old bali with the charm of a modern antiquity. Our suites are all designed with love and detail, furnished with items sourced by us, from all corners of the planet, each with story. We think you will feel right at home. The art of living arises in the simplest of activities, from singing and dancing, to powerful yoga or even through a silent cup of tea sitting with the bonsai. Wu Wei is home to both adventure and sanctuary. Each day, week, month and year we host vibrant events. We are devoted to being; so lets us be, well! Through daily rhythms of mindfulness and movement, healing and refininement, we celebrate life with fresh and healthy food; we support the health of our mind and spirit with insightful feng shui and attention to social details. Everything in its place, everything at its time, and everything in moderation, including moderation! With the deepest reverence to Life, we adore moments of presence devoted to honouring the great mystery that is beyond name or knowing. We simply give thanks and love. 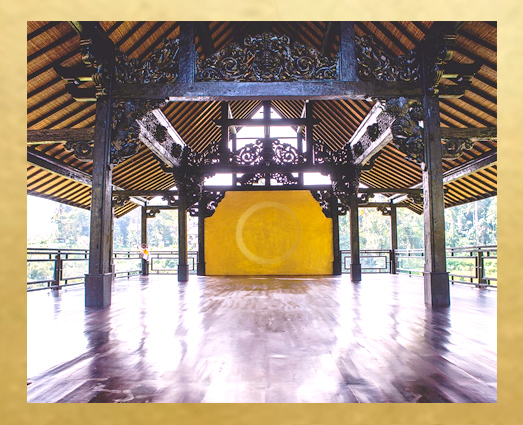 At Wu Wei, we recognise many traditions and will perform ceremony for many of them, with correct permissions of both local ways and ancient ways; As well as exploring new ways to pray, in harmony. Like this, we heal, we balance, and we celebrate. Routine and rhythm sustain our life experience. At Wu Wei, we encourage exploration into ways that enhance your path, whether for now or forever; whether deep or simple, the choice is always yours. Soak, sit, steam, sing, dance, learn, practice, soften, strengthen or all of the above and more. 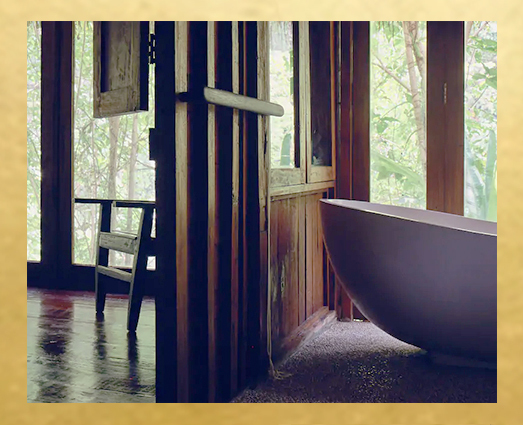 In the luxury of nature’s offerings we have daily opportunities for you to customise your own unique ritual during your visit and beyond. With inspirations from all corners of the world and the inner most connections to Source we have lovingly collected a boutique collection of gifts and guardians in the forms of woven fabrics, arts, crafts, literature, and fashion for your own collection. We built Wu Wei as a wisdom sanctuary. A place for ‘people of the path’ to cross paths. A place to experience the wellness that can come when living a healthy relationship to Source and Creator. We welcome the Wisdom you carry to be shared here, perhaps not with words, but within a perfect state of being. Join us, join the wisdom movement! 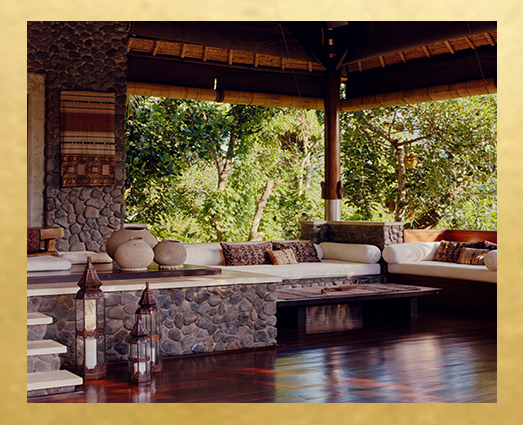 Wu Wei is a unique and mystical Boutique Estate located on Royal Land, perched atop the Petanu River Valley Ridge, and nestled amidst the magic of pure Balinese jungle. 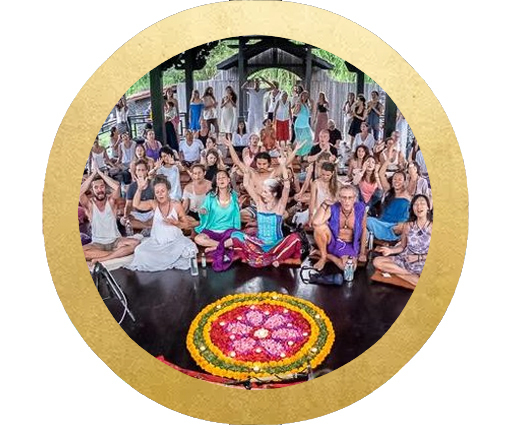 We are a sanctuary for “Wisdom Keepers” – illumined leaders, brilliant minds, consciousness innovators, Indigenous perspectives, and bravehearted influencers – across the ethos of Nature-Ecology, Spirituality, and the Creative Arts.